Fitness studios all across NYC! Sign up for select classes below (only $30 each!) and 100% of proceeds support local & global education via She's the First & DonorsChoose.org. 2:30PM: FITWeek FINALE @ Bandier [15% off merchandise + raffle prizes]! 20% off at Sweaty Betty! We’ve overheard it said that the only way to prepare for Tone House℠ is to train at Tone House. Now you can actually do that, with a class designed specifically for athletes who are new to The Turf. TONE HOUSE 101 offers a great introduction to our workout and movement training philosophy, as well as focused instruction and demonstration on proper technique and strong form that you can carry into any Tone House session. Plus, you’ll get the benefit of joining the team with a group of athletes who are new to The House as well. FLEX PILATES takes the reformer workout to a whole new level. Our 55 minute signature class combines Pilates with strength training and high energy music that will keep your heart pumping throughout. Our method allows for more exercise options and quicker transitions, ensuring you will make the absolute most of every minute. Expect an intense fast-paced total body workout that will not only sculpt & tone long lean muscles, but will improve endurance, stamina, balance, alignment and of course core strength. With a strong emphasis on form and always led by certified & experienced instructors, FlexPilates is a workout for both your body and your mind. Monday 5-7pm All items in the SOHO store 25% OFF for FITWeek participants! (except third party accessories, leather, and shoes). Will be raffling off a $50 gift card to Athleta! Join Mahri for a pre-shop and raffle @ Athleta SoHo followed by a 7pm BoCo CLASSIC class! This signature class in the Body Conceptions Method incorporates integrative cardio and body sculpting exercises that burn fat, exercise the heart, and target all areas of the body from the arms and abs to the thighs, seat, and back. Enjoy complimentary refreshments after class. 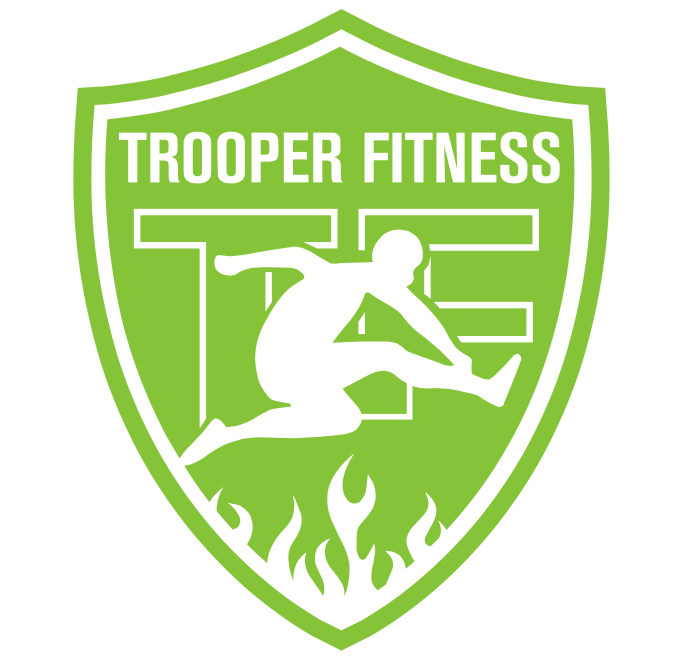 TROOPER MET CON CAMP (Metabolic Conditioning) is a combination of strength and interval training that has specific work and rest periods to elicit a desired response from the body. The goal is to maximize efficiency of a particular energy system. The body has several different methods of getting energy. Different ratios of work to rest periods call upon different energy systems and cause specific adaptations. TROOPER SPORTS CON CAMP (Sports Conditioning) is the ultimate athlete’s workout! This class includes conditioning, strength, SAQ (speed, agility, quickness), and Plyometric training for explosive power! Our sports specific drills are to be fun, team oriented, and challenging! SWERVE is a 45-minute, high-intensity indoor cycling class with a 5-minute upper body portion. The ride is team-inspired, so as you ride you accumulate points that go towards your Team SWERVE Score. You’ll climb hills, push sprints, set goals, and challenge yourselves to ride harder, together. Shoes and towels are always complimentary at SWERVE. The Fhitting Room® is an upscale boutique fitness studio delivering body-changing, high intensity workouts in small classes, bringing together the energy, motivation and contagious culture of an awesome group exercise class with the personal attention and education of one-on-one training. The SIGNATURE FHIX (Functional High Intensity Mix) integrates five essential building to deliver optimal results: functional movements, strength training, high intensity intervals, total body focus and highly varied exercises. UPLIFT STRENGTH Incorporating dumbbells, resistance bands, and your own body, Strength focuses on lifting the heaviest weights you can with the best form in a given amount of time. You’ll work each muscle group to fatigue before moving on to the next. At different points in class, you’ll burst into Tabata-style HIIT sessions to elevate your heart rate and leave you feeling exhilarated, accomplished, and strong. Women only. Shoes Required. Pack your buns - you're going to Buttcamp! Prepare for 50 minutes jammed packed with booty-focused moves, sweat-inducing cardio and, of course, a dance break! Our signature "WELL ROUNDED WORKOUT" class consists of four parts: 1. A cardio kick off to get you going 2. Glute-Engagement involving light equipment and your two cheeks 3. DANCING! 4. A "Booty Burnout" packed with high-intensity moves to leave you sore and loving it! Led by the human rainbow Counselor Emily, you'll sweat, squat and smile your way into your favorite Camp memories. Row House NYC is home of the high energy, low impact, full-body workout for everyone. Our FULL BODY 50 combines the cardio benefits of rowing with floor work. Expect lots of rowing (all levels welcome), plus full body movements like push ups, squats and lunges, suitable for all levels and perfect for those seeking an efficient, full body workout in a short time period. Get ready to work every muscle in every stroke. CRANK EXHILARATE is a hybrid ride, drawing on elements of both road riding and choreographed classes to ensure a killer, beat-driven work out. Rides involve interval-based work, strong climbs, jumps, and a weight series for a full-body work out. 45 min ride with complimentary shoes and towels. Exceed's THE WORKOUT is a full-body, heart-pumping, aerobic and strength conditioning workout that combines TRX suspension training, Kettlebell training, and High Intensity Interval Training (HIIT). Our approach gives you fast and intense bursts of work followed by short periods of rest for a total class time of 50 minutes. At Exceed we keep your heart rate sky high and burn more fat in less time! CORE RXN: A “crunchless ab class” focused on engaging and strengthening the most important foundation of your body, the Core. A dynamic mix of exercises & a creative use of tools in our Catalyst will having you breaking a sweat and burning up that midsection. It's time for YOU to have a FIT Reaction! 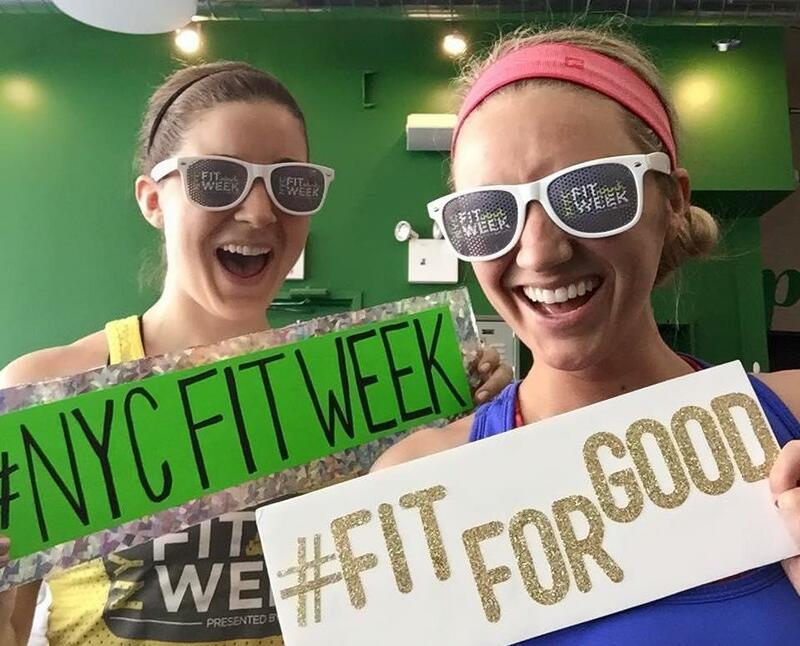 NYC FITWeek FINALE @ BANDIER! Join us for the NYC FITWeek Finale dance party @ BANDIER led by the fierce fitpro Nikki Pebbles! Complete with fun giveaways, a great workout, 15% off shopping, and some amazing raffle prizes from our sponsors! Plus, a special appearance by one of our nonprofit partners, Tammy Tibbetts, Founder of She's the First! Come get sweaty with us on Saturday afternoon and celebrate all that we accomplished together through NYC FITWeek 2016.